Combine all ingredients and boil for 3 hours. Be careful not to burn. For hotter salsa, use more jalapenos, including seeds. Add some crushed chilis and whatever else you think you'd like in it. Bottle. 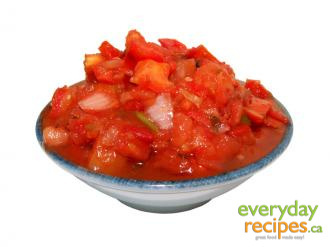 For a more chunky salsa cut ingredients accordingly and add more green and red peppers.